We evaluate and control on a continuing basis company expenses such as office expense, insurance, payroll, telephone. Making sure that you are maintaining low cost and efficient use of your hard earned money. We work hard to maximize your profits! Where is your company spending its money? Utilities → Employees → Insurance. 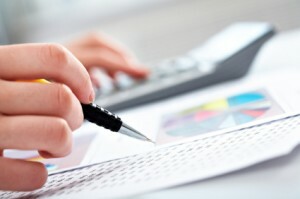 Do you REALLY know what QuickBooks can do for you? Sure, it keeps your books in order… But have you ever taken a deeper look? Join Judy K. Sander for Advanced QuickBooks Classes on July 15th and July 22nd. Judy has been with us for almost 10 years. During that time she has taken us from a single location company in Palm Beach County to now a 3 location company in the Tri-County area of South Florida. She is a great problem solver and no task or project is too difficult for her to research, implement and maintain. Without Judy’s capable guidance, we would never have been able to grow so successfully in the last 10 years. We would like to take this opportunity to recommend JKS Business Solutions, Inc. for any accounting position she would apply for. Judy has been with us for many years and frankly we don’t know what we would do without her. She not only fixed our problems when she took over our books, but she continues to maintain our records, payables and receivables. She is excellent at negotiating discounts and shopping for better rates in all aspects of our business. Judy Sander has paid for herself time and time again. She is prompt, considerate, accurate and timely. What she doesn’t know she finds out before answering. We can truly recommend Judy with no reservations. Site Design by Compass Strategies, Inc.